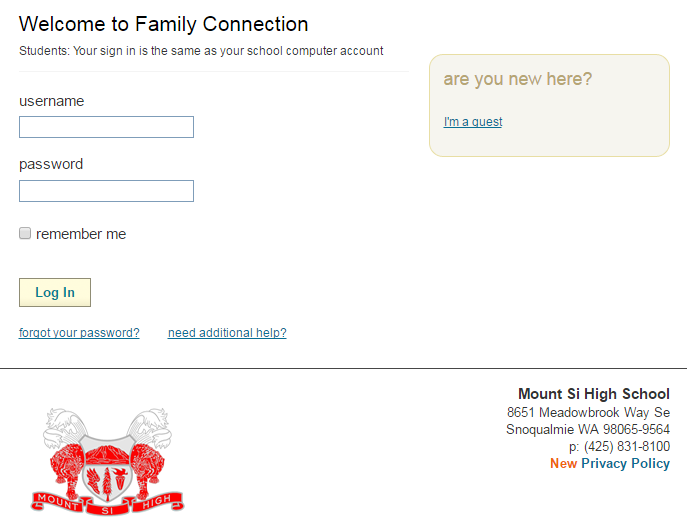 Thank you for your interest in visiting Mount Si High School. 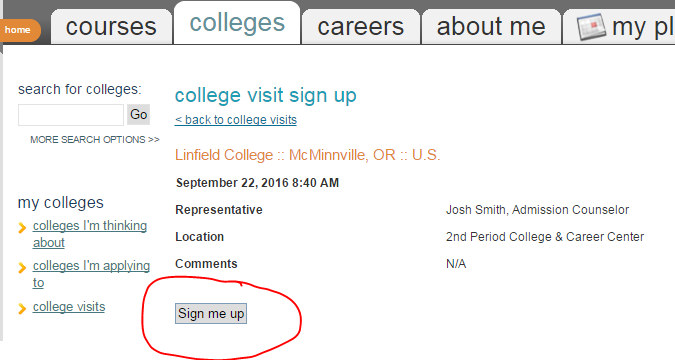 We are using RepVisits to schedule college visits. You may go to https://CounselorCommunity.com to get a free account. Seniors and juniors are invited to attend college and career visits. 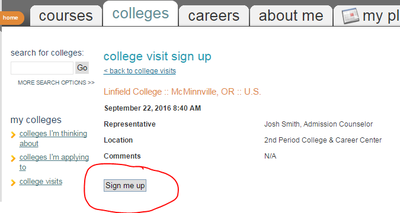 You must sign up in Naviance 12 hours before the scheduled visit. An email will be sent to your teacher notifying them of your intended absence. Attendance will be taken in the College & Career Center. Please be punctual, attentive and prepared with appropriate questions. Remember the college admissions counselor, program representative or career professional is usually involved in the selection process. Make a good impression!